I found The Death of Superman TPB at Kroger in early 1994, I was 11 going on 12, this was the beginning of my journey in this wonderful hobby. I had heard of this “event” but I was so late to the party that it was over, "Doomsday! ", "Funeral for a Friend" and "Reign of the Superman! ", ancient history by '94. 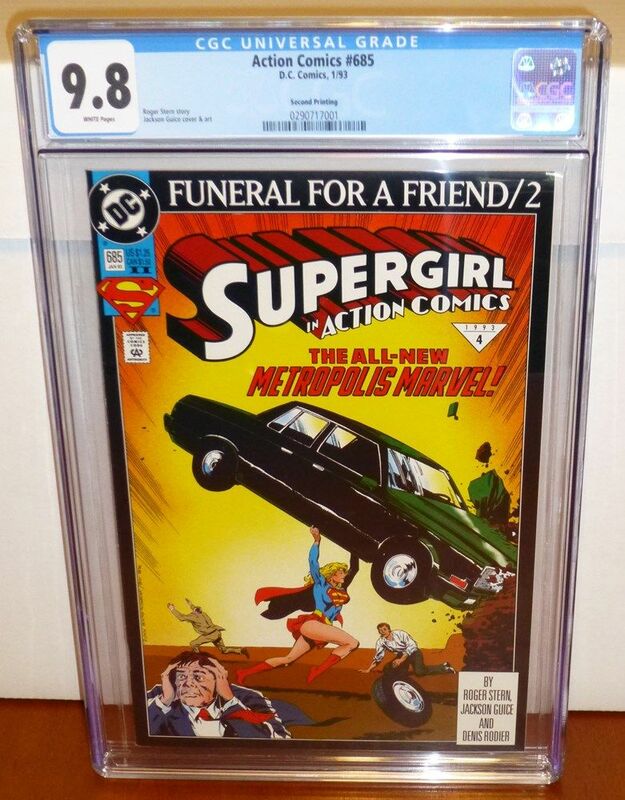 After I got The Death of Superman TPB I searched out issues for "Funeral for a Friend" and "Reign of the Superman!," not an easy task for a kid with no job (or allowance 'cause I never did chores), who's only transportation were his parents or the school bus. I was able to catch up thanks to several Toys R Us trips, where late comers like myself could pick up various sets of comics, with a lot of Superman books. I found most of the issues I needed for "Funeral for a Friend" this way. 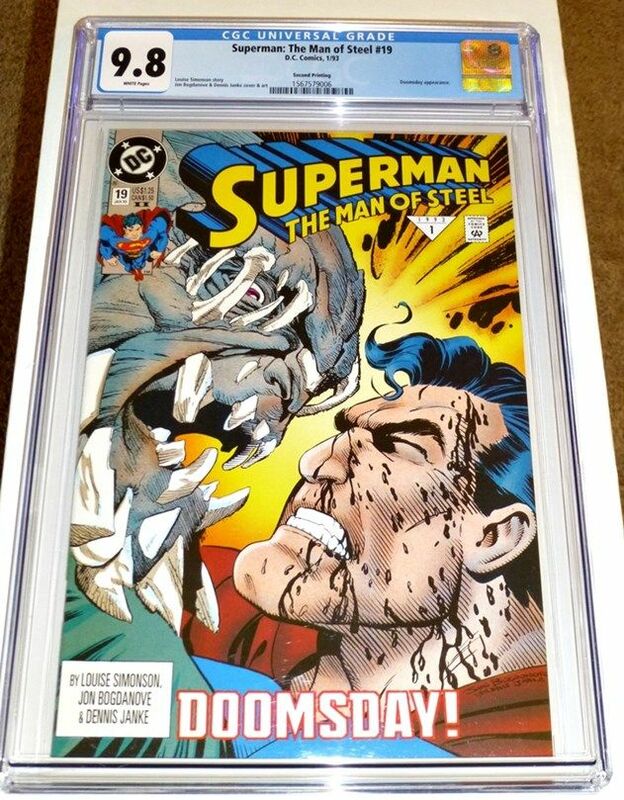 As I got more into collecting I decided I wanted to have the individual "Doomsday!" issues, even thou I had them nicely collected in TPB form, after another Toy R Us trip, I got all those issues from a box set. 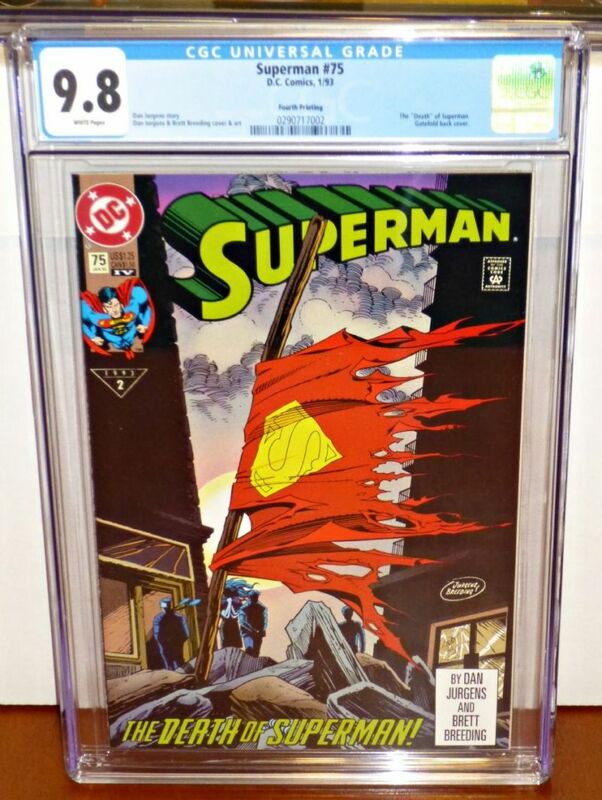 As I started accumulating price guides, poly bags and backing boards a monster began to gestate, who became concerned about condition and value. I then discovered there were actually multiple printings for many of these issues, and that the first printings were worth more! Each printing after the first edition was notated by a roman numeral, next to the issue number and price on the top left corner of each cover. While the cover art was the same with each subsequent printing the title logo color scheme changed for each issue’s printing. Suddenly, the 2nd, 3rd and so on printings I had were tarnished in my eye. All of my "Doomsday!" issues were later printings, and not worth the paper they were printed on, and most of my 'Funeral' issues were the same. As the years went on, and the prices went down, I replaced many of my later printings with first prints, recycling the paper rags I had before. Around 2007 I decided to start CGC Registry set for this storyline, all 9.8, first prints only. By the early 2010's I re-discovered the later printings, where I became enticed by the thrill and challenge of trying to find these books in high grade. I love how unexpected all of this was, I know I never thought the later printings would ever be collectible, and I think it's safe to say I wasn't the only one. Here are my CGC examples thus far, keeping the thrill of the hunt alive. Some of my childhood books also survived, thankfully. I found Superman #75 4th printing and Action #685 2nd printing in the wild and subed them myself, they're my two favorites. It’s great when a raw comes back 9.8!